Fall television might have literally just started up for the season, but that doesn’t mean we can’t start looking forward to what shows we’re going to get next. And if you ask us, the one show we want to start binging immediately sounds like it’s going to be about Disneyland — aka, the happiest place on Earth. According to Deadline, Michele Fazekas and Tara Butters (who were previously showrunners on ABC's Agent Carter. Also, miss you, Agent Carter! 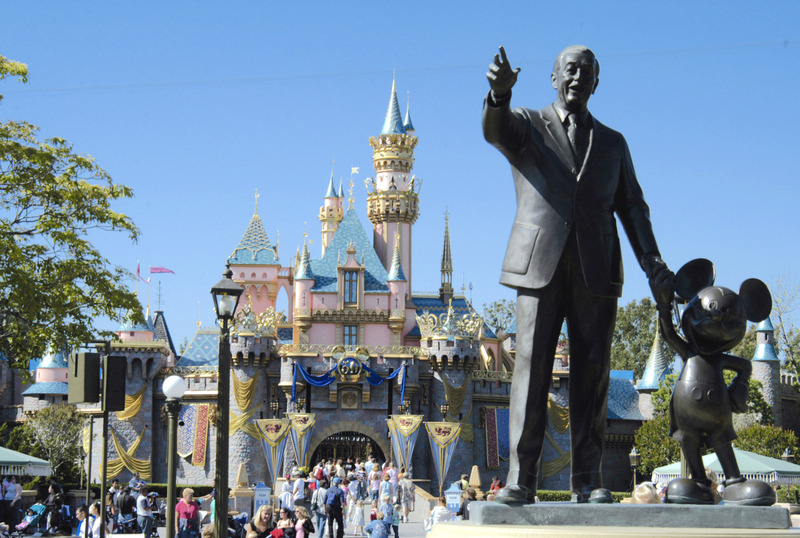 ), have just sold another show to ABC, "based on the Disney theme park mythology." That right there can give us a clue as to what this show might be about: back before Mickey Mouse was a thing, Walt Disney actually had a studio on Hyperion Ave, The Walt Disney Hyperion Studios. Soon, that studio became too small for him (and his animations) so Walt moved everyone over to Buena Vista Street in Burbank…and the rest is Disney history. Might this new show actually be about the birth of all things Disney, from the early days of Mickey Mouse, to building Disneyland, to right now?? Let's be real: we would binge the hell out of that show because the life and times of Walt Disney and Disneyland are fascinating. If not that, what happens if this new show is actually ABOUT Disneyland? Like, the behind-the-scenes aspects of working in the park, and living in the shadow of the castle every single day — and don’t you want to see ~secrets~ behind all things Disneyland?? It could even be filmed in Disneyland, and oh my gosh, so much yes. The show is still in super early stages of development, and hopefully over the next few months we’ll get more details as to exactly what Hyperion will be about. Color us excited no matter what.